World of Warcraft 8.1.5, the so-called Tide of Vengeance patch, brought in a pile of new things and some odd changes to things to which we had grown accustomed. 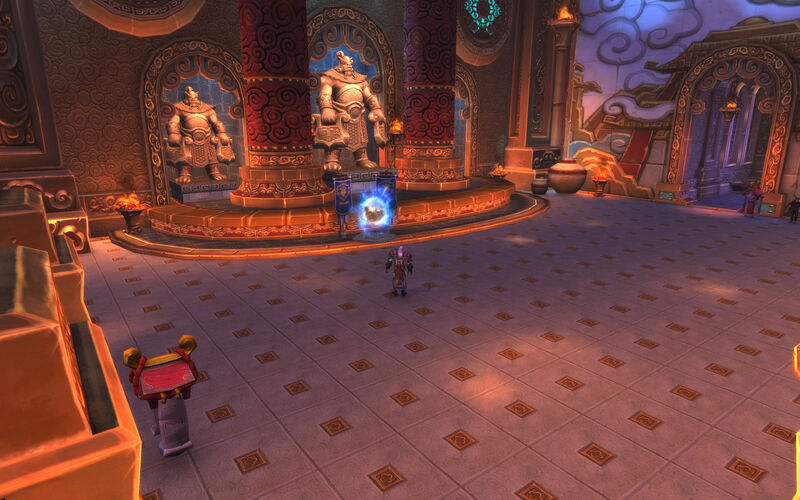 Wait, how do I get to WotLK Dalaran now? But for me the best item on the list was the return of Wintergrasp. Not that Wintergrasp hasn’t been lingering around all this time. One of the staples of the Wrath of the Lich King, and something that help keep me subscribed and playing for the full length of that expansion, it fell behind the times as further expansions showed up. I tried it a couple of times during Cataclysm, but a five player match just isn’t that exciting. So Blizzard, clearly embracing nostalgia and content recycling, reworked Wintergrasp as a 40 vs. 40 battleground in the current rotation. And, for the first week, it was awesome. It was awesome in part because it was great fun to go back to my old favorite battleground and fight over towers and the keep. It was also awesome because it was the featured brawl of the week on its return, which meant instances of it kept popping regularly. I could queue for under five minutes and get in again and again. It was the return of a classic. I had forgotten bits and pieces, but playing through it brought back a lot of great memories. Even with a smaller population in the battle it still played out the same way I recalled. 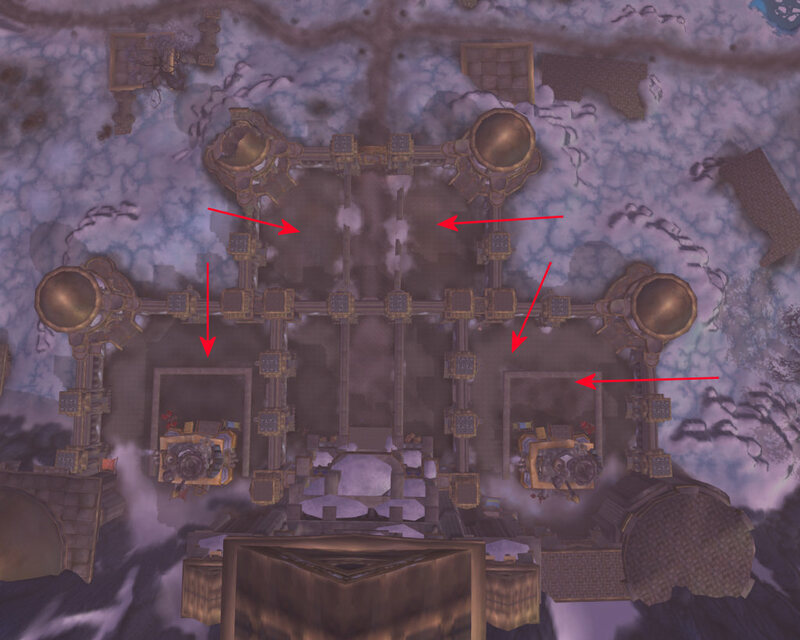 A post I wrote in late 2010 about the strategy of Wintergrasp still applies to the battleground today. Discipline and concentration of force wins, being scattered about and attacking where ever strikes you at the moment doesn’t get you very far. It was great fun for a week. And then Wintergrasp was no longer the highlighted brawl of the week. At that point, when I went to queue up for it on a weeknight the queue to get enough people turned into a long wait. 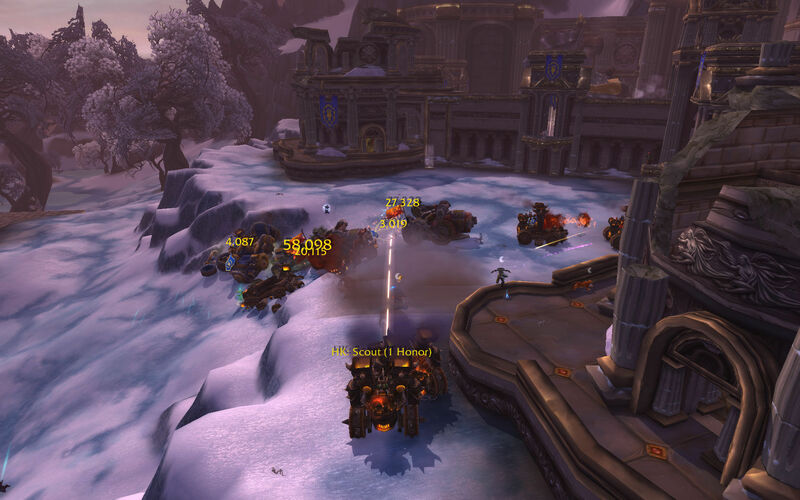 An instance won’t pop until it has 40 vs 40, and it people queue for a random battleground they get pulled into others before Wintergrasp is ready. Still, I was able to binge on Wintergrasp for a week. That was pretty fun. It will get its turn on the front page again I am sure. And I can always queue up and just be patient while I run some world quests if I am dying for a match. This entry was posted in entertainment, World of Warcraft and tagged Tide of Vengeance, Wintergrasp on March 23, 2019 by Wilhelm Arcturus.